Although Putin’s party is by far the dominant force, Russians can choose among several other options. The party linked to Vladimir Putin and Prime Minister Dmitri Medvedev is Единая Россия (United Russia), sometimes referred to as “партия власти” (the party of [state] power). In addition, three opposition parties are represented in the Duma. There’s the Communist Party (КПРФ, Коммунистическая партия Российской Федерации), heir to the Communist Party of the Soviet Union; the Liberal-Democratic Party (ЛДПР, Либерально-демократическая партия России), a nationalist, right-leaning party centered around its charismatic leader Vladimir Zhirinovsky; and Just Russia (Справедливая Россия), a socialist party. Although technically in the opposition, these parties often support establishment policy. Several other parties were also on the ballot, vying to exceed the five percent threshold for Duma representation. Some mentioned in the video include the Party of People’s Freedom (ПАРНАС, Партия народной свободы), a genuine opposition party formerly associated with the assassinated politician Boris Nemtsov; Яблоко (lit. “apple”), a longtime classically liberal, pro-European, pro-civil rights party; and The Party of Growth (Партия Роста), a newer opposition party. In this particular district, Николай Гончар, the establishment candidate from Единая Россия, was running against the well-known historian Андрей Зубов (ПАРНАС), oppositionist activist Мария Баронова (running as an independent), Михаил Дегтярёв (ЛДПР), Ксения Соколова (Партия Роста), Павел Тарасов (КПРФ) and others. The establishment candidate Gonchar won. It was generally assumed that United Russia / Единая Россия would prevail in these elections. Putin’s popularity, his authoritarian style, legal harassment of genuine opposition movements and state control of the mass media make it hard for opposition parties to perform well. The main questions were just how much support United Russia would get, which other parties would at least be represented in the Duma, and how free and fair the elections would be. In the end, Единая Россия increased its Duma representation considerably and now has a super-majority that even allows it to change the Constitution without support from other parties. Единая Россия’s showing in the party-only portion of the vote was actually not overwhelming: the party of power won only 54.2%, with КПРФ (Communists) receiving 13.3%, ЛДПР (Nationalists) 13.1% and Справедливая Россия (Just Russia) 6.2%. But Единая Россия dominated in the half of seats that were chosen according to the single-mandate system: in more than 90 percent of districts voters chose a single-mandate candidate affiliated with the establishment party. Besides the four just mentioned, none of the other parties listed earlier exceeded the five-percent barrier required for Duma representation, nor were any of their candidates chosen from single-mandate districts (although two candidates from other minor parties did make it into the Duma). You can view a graphic of the resulting distribution of seats here. Numerous voting violations were reported — the topic of an upcoming post — but the general assessment is that they were fewer than in the 2011 elections and did not have a large effect on the result. Заметки о языке: A verb construction you’ll hear frequently in the video is голосовать (impf.) / проголосовать (perf.) за кого? = to vote (for someone). Here “за” takes the accusative case, and since animate masculine singular nouns in the accusative case take endings that match the genitive case, you end up with phrases like “За Зубова” = [I voted] “for Zubov.” The verb for voting, as you may have noticed, is semantically related to the noun “голос” = “voice.” The vocabulary of voting also contains many words related to the verb выбрать (perf.) / выбирать (impf.) = “to select, choose.” For example, elections = выборы, voter = избиратель, voting site or precinct = избирательный участок. Please post any question or reactions in the comments! SUBSCRIBE and you’ll get an email every time there’s a new post. For a higher-quality version, view the clip at TV Rain. A subscription is required. By subscribing to TV Rain, you support independent journalism in Russia — a good cause. Лобков: Одномандатников – кого помните? Девушка: Одномандатников никого. Вообще не знаю, кто эти люди. Лобков: Ни одного не знаете? Девушка: Кроме Гончара, который уже был здесь каждый год от нашего района. Всех остальных видели в первый раз в жизни. Женщина: За Парнас, конечно. За кого еще? Женщина: Конечно. А за кого еще остается? Лобков: За Парнас. А по одномандатному округу за кого? Женщина: Ну, тоже из ПАРНАСа. Единственный там человек из ПАРНАСа. Да. Зугов, по-моему. Другая женщина: Зачем голосовать? Всё без меня решат. Лобков: Только пришли уже – проголосовали бы. Женщина: Ну, зачем, зачем? Они все одинаковые. 1.45-2:30. Котельнический переулок, Таганский район. Лобков: Здравствуйте. А за кого голосовали, если не секрет? Лобков: А по одномандатному округу? Лобков: Ты что?! Да? Ну, вроде мне казалось, что здесь такой район элитный, здесь голосуют за партию власти в основом. Мужчина: Ну, может быть, в основном. Мужчина и женщина: За Яблоко! 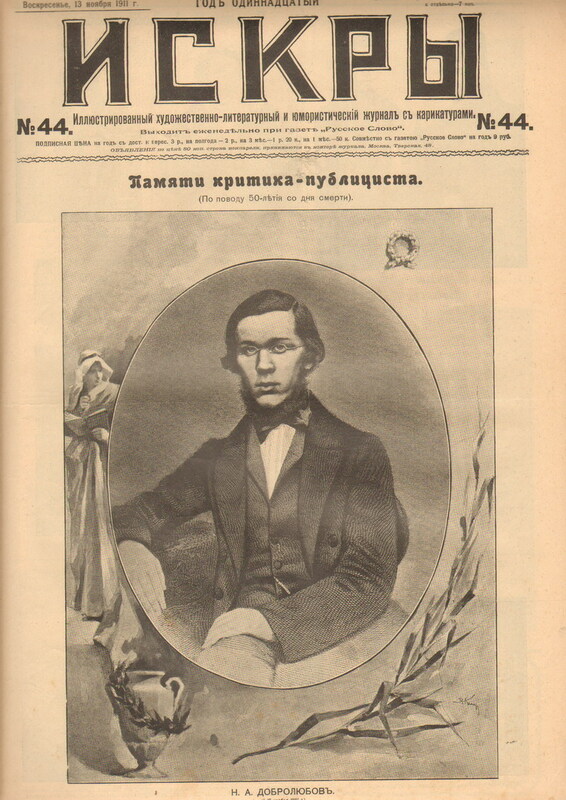 Мужчина и женщина: За Зубова. Лобков: А почему он вам нравится? Пожилая женщина: Хорошо выступает, умный человек, сам по себе умный. Женщина: Нет, ну, вы все наивные. Ну, хотелось бы, чтобы сменилось все наконец. Ну, невозможно жить. Мужчина: Я не забуду, когда вся Москва голосовала было протестное голосование за коммунистов. Все друзья, все родственники. И Единая Россия победила. Андрей Зубов, кандидат в депутаты из партии ПАРНАС: На выборах мэра Москвы у нас на участке победил Навальный. Довольно много ветеранов, которые, естественно, голосуют или за коммунистов, или за власть. Среднее поколение и молодежь – в общем, конечно, протестное голосование. Лобков: Смешно спрашивать, за кого голосовали? Лобков: Вы решили уже, за кого? Молодой человек: Да, решил. Я думаю, что буду голосовать за Яблоко, а за одномандатников, скорее всего, за Зубова, я думаю. Женщина: Я голосую за Роста. Мне понравились. Все там интеллигентные лица, Хакамада, опять же. Вот. А за вот одномандатников, да? Это за Гончара. Он меня поздравляет с днем рождения каждый год. Young woman: Of the single-district candidates, no one. In general I don’t know who those people are. Lobkov: You don’t know a single one? Young woman: Except for Gonchar, who has already been here every year from our district. All the rest we are seeing for the first time in our lives. Woman: For PARNAS [The Party of the People’s Freedom]. For who else? Woman: Of course. Who else is left to vote for? Lobkov: For PARNAS. And with respect to the single-mandate district, for whom [did you vote]? Woman: Well, also [someone] from PARNAS. The sole person there from PARNAS. Yes, Zugov, I think. Another woman: Why vote? They’ll decide everything without me. Lobkov: It’s just that you already came — you could vote. Woman: Well, for what reason, for what? They are all the same. 1.45-2:30. Kotelnicheskii alley, Taganskii district. Lobkov: Hello. For whom did you vote, if it’s not a secret? Lobkov: And with respect to the single-mandate district? Lobkov: What are you saying?! Really? Well, like, it seemed to me that this is such an elite district, that people here vote for the party in power, for the most part. Man: Well, that may be, for the most part. Man and woman: For Yabloko! Man and woman: For Zubov. Lobkov: From LDPR [nationalist party]? Lobkov: And why do you like him? Older woman: He gives good speeches, is an intelligent person, intelligent in an independent way. Woman: No, really, you are all naive. I mean, it would be desirable if everything changed, finally. Well, it’s impossible to live. Man: I will not forget when all of Moscow was going to do a protest vote for the Communists. All [my] friends, all [my] relatives. And United Russia won. Andrei Zubov, Duma candidate from the party PARNAS: In the election for the mayor of Moscow in our precinct Navalny one [an anti-corruption crusader and leading opposition figure]. There’s a fair amount of veterans, who, naturally, vote either for the Communists or for the party in power [United Russia]. The middle generation and the young people — in general, of course, [they do] protest voting [i.e. for opposition parties]. Lobkov: Is it silly to ask for whom you voted? Lobkov: Did you already decide, for whom [you will vote]? Young man: Yes, I decided. I think I will vote for Yabloko, and for the single-mandate candidates, more likely than not, for Zubov, I think. Woman: I vote for The Party of Growth. I like them. They are all such cultured individuals, Khakamada, again [a moderate opposition figure, member of the Duma in the 1990s, one-time minor presidential candidate]. So. And for the… single district candidates, right? That was for Gonchar. He sends me birthday greetings every year.